Catch up, Keep Up, and Get Ahead! Welcome to Math-A-Matics Tutoring, LLC!!! 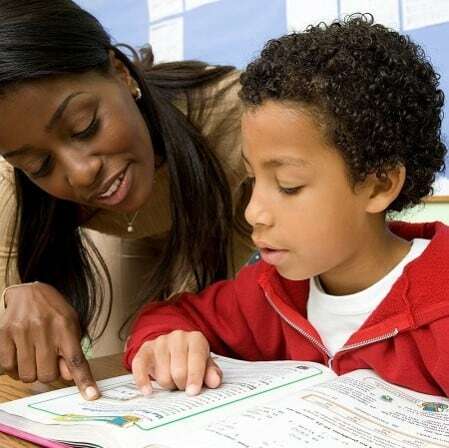 We specialize in offering one-on-one private in-home and online math help in the Houston area to elementary, middle and high school students, in all levels of Math, Campus Intervention, Test Prep, Campus Intervention, and STEM Enrichment through our After-School & Summer Camps. Founders and Owners, Kimberly Grant and Dawn Brown started Math-A-Matics Tutoring, LLC with the goal to bridge the gaps and eliminate the commonly stated difficulties associated with the areas of science, technology, engineering, and mathematics. Oh how we truly LOVE math; however, all too often we hear the complete opposite when surveying a room. Math is just like a puzzle; all of the pieces fit together but if you are missing one, it is just not complete. Hence you just have to get ALL the pieces together. Our love of math inspires us to help elementary, middle, and high school students in the greater Houston area understand math and succeed in class. STEM is the answer and foundational piece needed to help students determine how to use what they know to solve problems beyond what the eye can see. Too few of students pursue expertise in STEM fields or even see STEM disciplines as the ladder to their future careers simply due to a lack of exposure that is relatable and relevant. They simply don’t see where they fit in. From their very own testimonies, Kimberly and Dawn credit much of their success to their early exposure to STEM and strong foundation in mathematics starting as early as elementary school through programs like SECME, Upper Bound, which led to attending Booker T. Washington High School for the Engineering Professions and ultimately earning their engineering degrees from the Prairie View A&M University, Texas A&M University, and University of Oklahoma. Our mission is to provide one-on-one math help to elementary, middle and high school students in the Greater Houston and Suburban areas in person or online while the student is in the comfort of their own home all while charging affordable, competitive rates. We are completely confident that when we send a member of our math tutoring team to your home in Houston, you are receiving one of the very best highly qualified tutors on the market to aide your child. Our hiring requirements and process are among the most strict in the area.